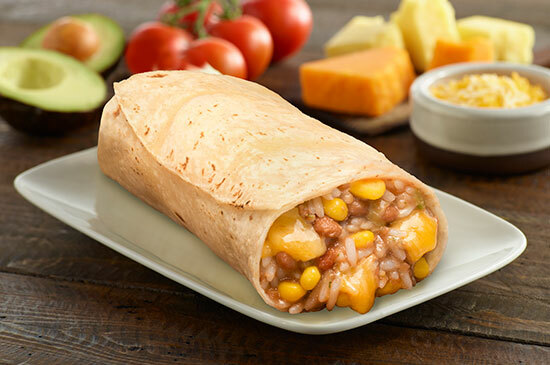 For those who no like meat or just prefer the authentic taste of a bean & cheese burrito, our Vegetarian Bean & Cheese Burrito is just what you’re looking for. 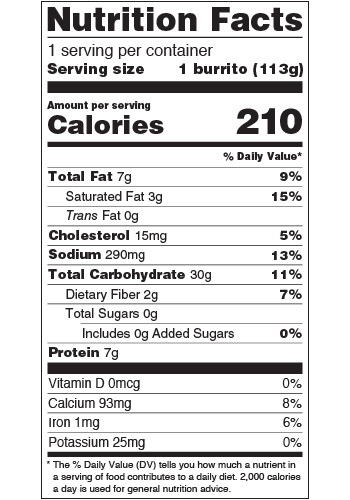 Made with organic corn, (we use organic corn because we don’t like GMO’s! ), rice, refried beans, salsa and authentic seasonings. 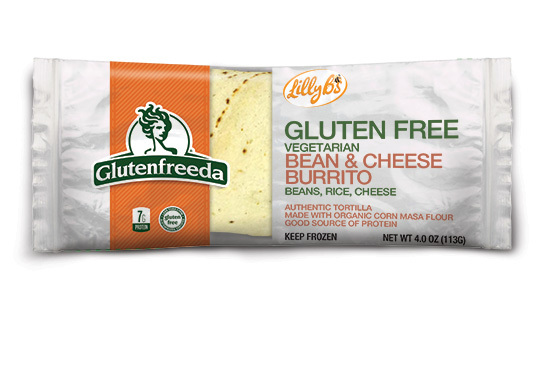 A favorite with kids, we think this burrito will be your next favorite too! FILLING: Refried beans (beans, water, canola oil, salt), rice, cheddar cheese (pasteurized milk, cheese cultures, salt, enzymes, annatto color), salsa (tomatoes, tomato juice (water, tomato concentrate, salt, vitamin C), onions, bell peppers, peppers, parsley, garlic, cilantro, apple cider vinegar, spices, sea salt, herbs), corn, sour cream (grade A cultured cream (milk), enzyme), garlic salt (garlic, salt, garlic oil).